Don’t kid yourselves fellow mothers, taking your toddler to organised activities, does not, in any way, grant you permission to even thinking they might be interested in participating. I had all the best intentions when I set out to Three Little Pigs on Saturday afternoon. I was actually really looking forward to it, for him – HA! We arrived a few minutes early and while the session was being set up, we strolled around the shop and I swooned over all the lovely things. The mat was all set up and the organiser lovingly prepared batches of different coloured plasticine (made from scratch, so safe for toddlers) for the kiddos to choose from. They were also given various shapes and tools to use with the plasticine. Henry would have none of it! It wasn’t going to happen. All he wanted to do was run up the shop ramp and down the steps. At that point I knew no amount or type of crafting was going to stop him. 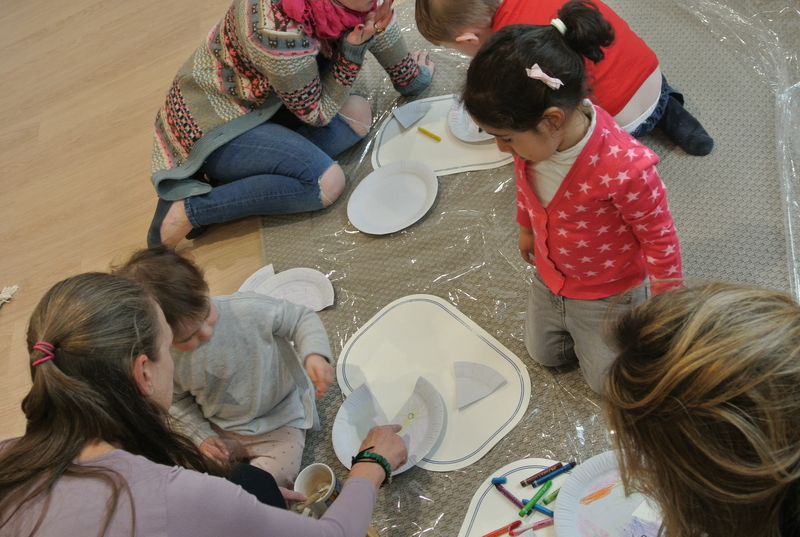 The craft session continued with the children creating fish out of paper plates and decorating with glitter, buttons etc. Secretly, the craft-er in me wanted to sit and join them, on my own, but somehow, I don’t think that would have been appropriate (*wink). 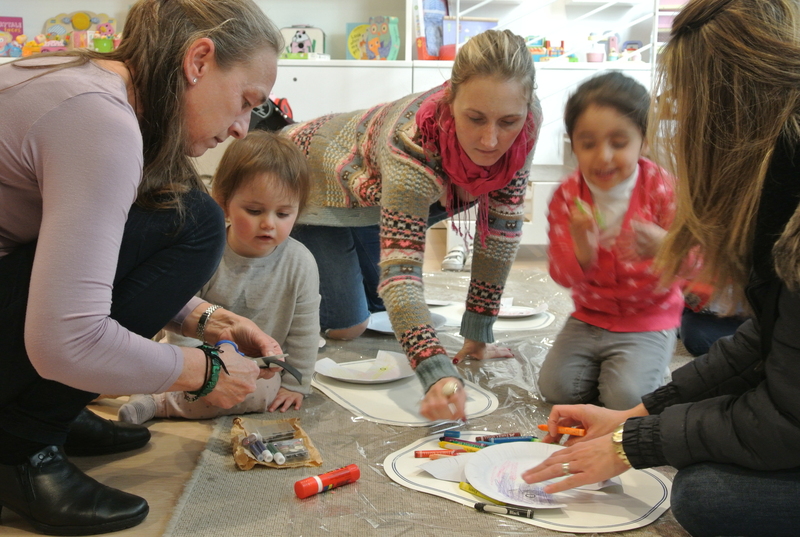 From what I could see, the children really enjoyed the session – and so did Henry, crafts or no crafts. Thankfully, co-owner Lisa at Three Little Pigs is also mom to a toddler and her words of understanding, comforted me during those frazzled moments as I ran after my Storm Trooper! Follow Three Little Pigs to find out about other activities and events.